The newly revamped Newy Christmas tree. A Christmas tree in Co Down has been revamped after locals branded it "disgusting". After a number of complaints by residents to local councillors, the tree was given a makeover. A spokesperson for the council said: "Newry, Mourne and Down District Council confirms that it recently replaced the lights and improved the Christmas tree on Hill Street, Newry." SDLP councillor, Gary Stokes had been contacted by an unimpressed local who said the tree appeared as if it had "been thrown up." With only a handful of decorations and a few lights here and there, business owners and residents had labelled the tree "bland". Images of the tree have since appeared across social media sites after it was erected on Hill Street last month. Many called for it to be replaced. The tree also drew in strong criticism from ratepayer's who described it as laughable. One resident had even commented: "Did Scrooge put this tree up? "I mean get a grip Newry - dress it up or take it down." Meanwhile, Downpatrick's Christmas tree also attracted unwanted attention after some residents questioned why part of the tree was left visibly bare while the rest was covered with festive lights. 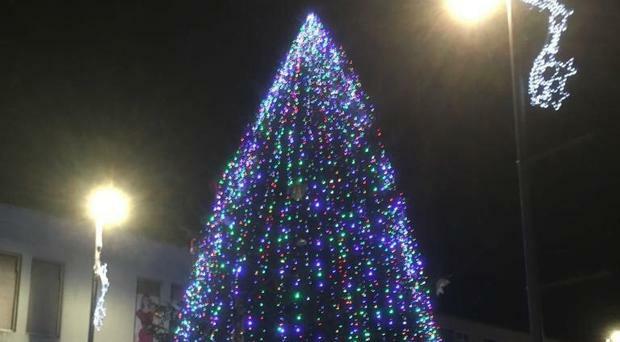 Last month, Armagh City, Banbridge and Craigavon Council was forced to remove its Christmas tree in Banbridge after it was branded among the worst in Northern Ireland, and was replaced with a better one. By Donna Deeney The heartbroken partner of murdered journalist Lyra McKee has said her death must not be in vain. From an article about the peace process, published in the Belfast Telegraph in March 2017. By David Young A Booker prize-winning writer from Belfast has paid tribute to murdered journalist Lyra McKee, saying: "She will never leave our hearts."